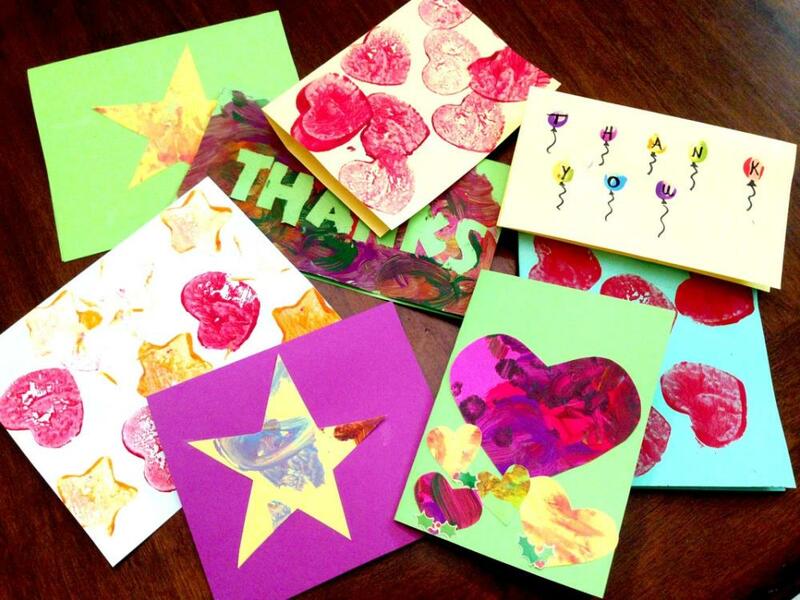 With the holidays over and those playrooms bursting with new toys, it’s about time to start sending thank you notes. I’m strong believer in the importance of thank you cards from kids – when somebody puts the time and thought into buying a gift, they should get a special, handwritten note in return. With my son still being a toddler, I’m doing most of the writing for his gifts; however, he still helps make the cards – and I try to make the homemade card ideas easy and creative. Today, I’m sharing four simple kids thank you card ideas. This type of homemade card is my favorite and the simplest for younger kids like toddlers. First, use a cookie cutter to trace a few shapes on card stock. We used stars, hearts, Christmas trees, and gingerbread people. As far as paper, I always use card stock for homemade thank you cards from toddlers because its thicker than construction paper. So when the paint is layered on like the ways kids love to paint, the card doesn’t bend. I also like the colors of card stock better than ordinary construction paper. They are brighter and more fun, which definitely ups its refrigerator-worthyness. Then, simply cut the shapes out for your child to paint on. You can then glue these shapes to a folded piece of card stock to make perfectly easy homemade thank you cards from toddlers and kids. Toddler and Baby Variation: You can also do a variation of this homemade card – which is great for younger ones: Have your child paint all freely over a piece of card stock. Toddlers could use brushes or q-tips. Younger ones could use their hands. Once dry, you can trace the cookie cutters and cut out the shapes. I did something similar with the below Christmas trees. 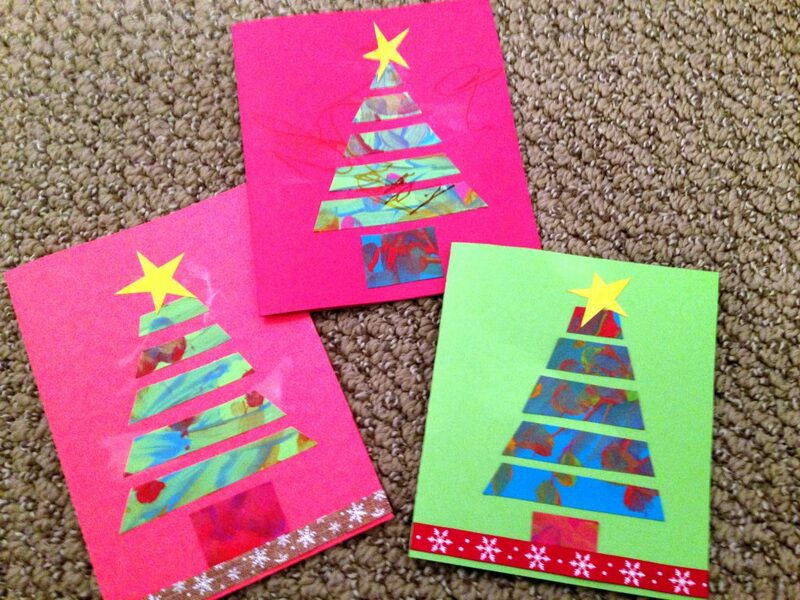 Using my toddler’s painted paper, I cut out strips and shaped them into trees. It’s his painting, but cut into a pretty shape. 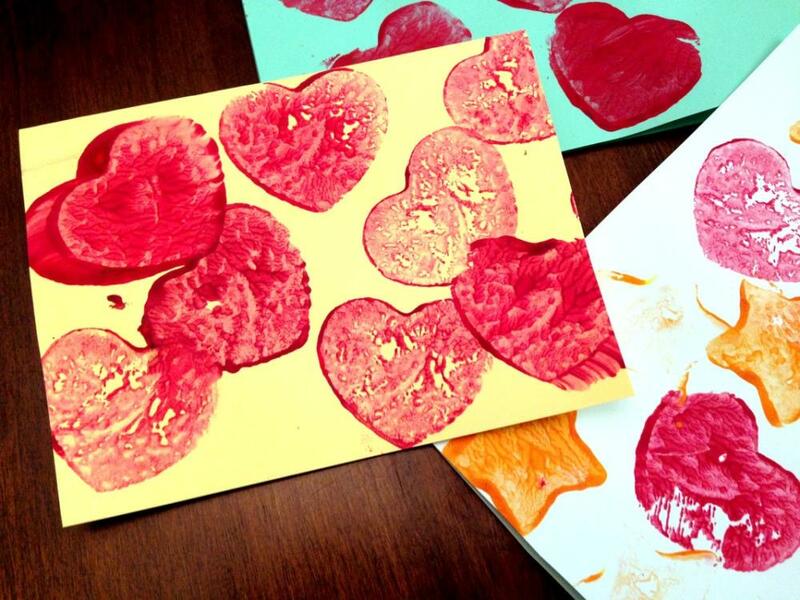 If your child comes home from preschool or daycare with lots of “abstract” freestyle paints, you can always cut them up to make one of these cute homemade thank you cards from toddlers. After, glue your cut-outs onto another piece of cardstock and fold into a card. 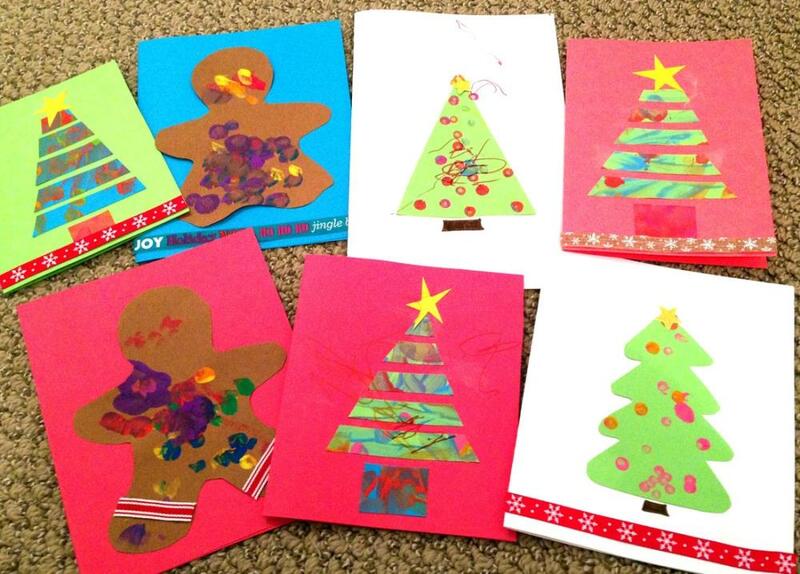 Your child can continue to decorate the homemade card – my toddler used q-tips and paint to further decorate the trees. You could also use stickers or ribbon – or scribbled markers or crayons works too. 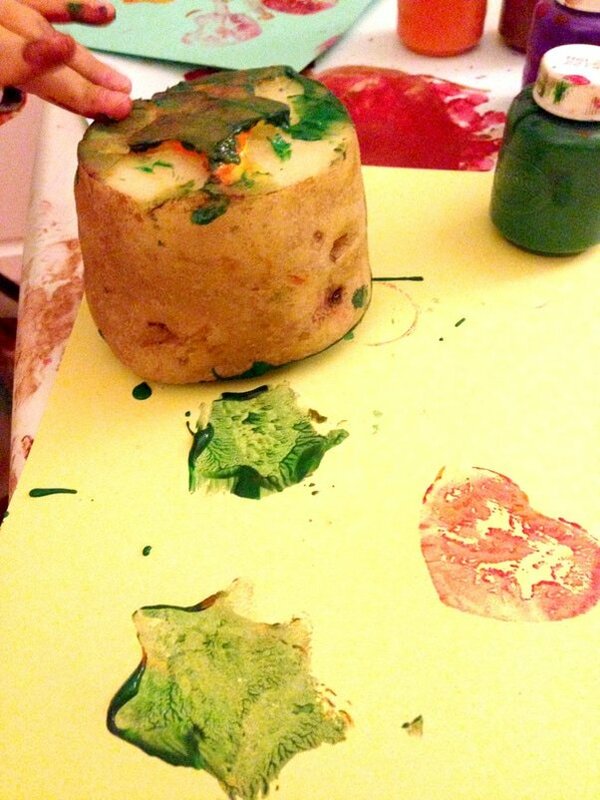 Always looking for new sensory play activities, I decided to give potato stamps a try. It was way easier than I thought it would be – and my son had a ball. This might just be our new go-to card. 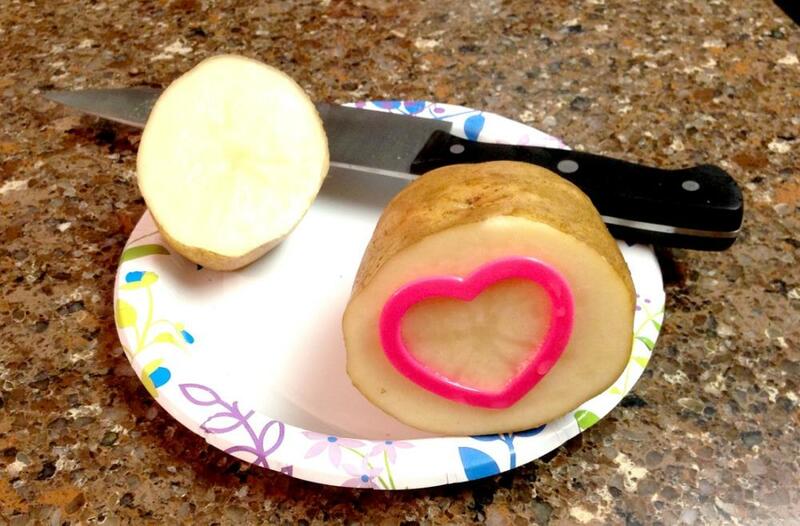 First, cut off the top of the potato. Then, press in a cookie cutter of your choice. After that, use a knife cut the excess from around the cookie cutter, slowly moving your knife around the border of the cookie cutter. You are left with an awesome stamp that’s easy for kids to paint. 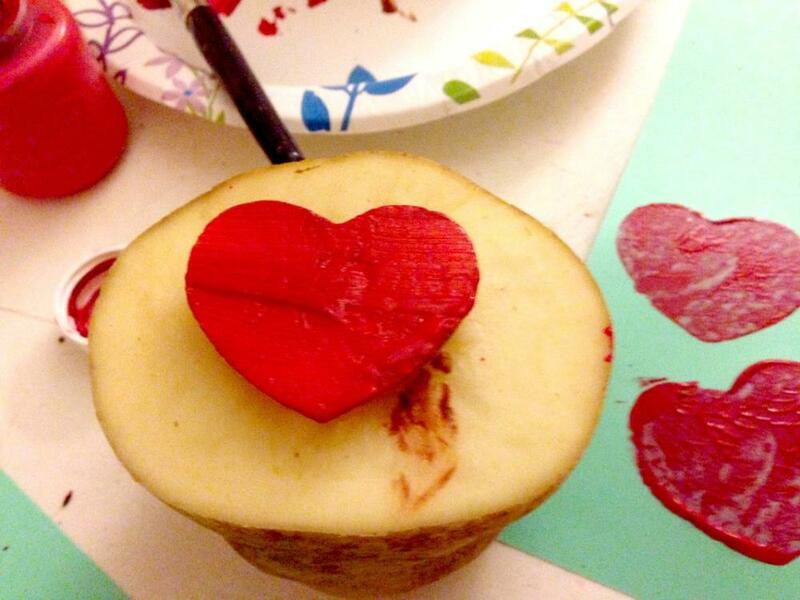 I got a little creative and did a double-sided stamp on this potato – with a star on one side and a heart on the other. This encouraged my son to be more involved – getting messy and flipping the potato to see the shapes. This is great for kids messy play ideas! This could also be a fingerpaint activity or a paintbrush activity. ​And, potato stamped notes don’t have to be for kids thank you cards – they could used for any occasion or even a rainy day activity. 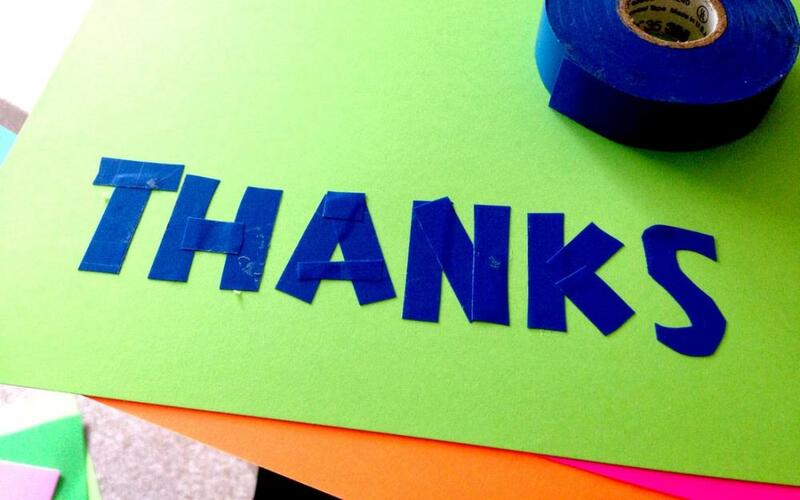 Use painters tape to spell out a word – such as “Thanks” and then have your child paint freely. When the paint is still a little tacky, remove the tape from the card. Definitely use painters tape for best results. I lazily used electrical tape this time and it peeled terribly. Handprint, footprint, and fingerprint cards are usually not my favorite. It’s usually too structured for my little one; however, we got a really cute homemade card with a few single fingerprints. ​We turned them into letter balloons which my toddler loved. Simply put a little of each of the colors you are using on a palette or piece of paper, and have your child dip their finger into each color and then make the print. The number of prints will depend on the number of letters in the word. ​Once dry, use a sharpie to write on the letters and draw the balloon knot and string. 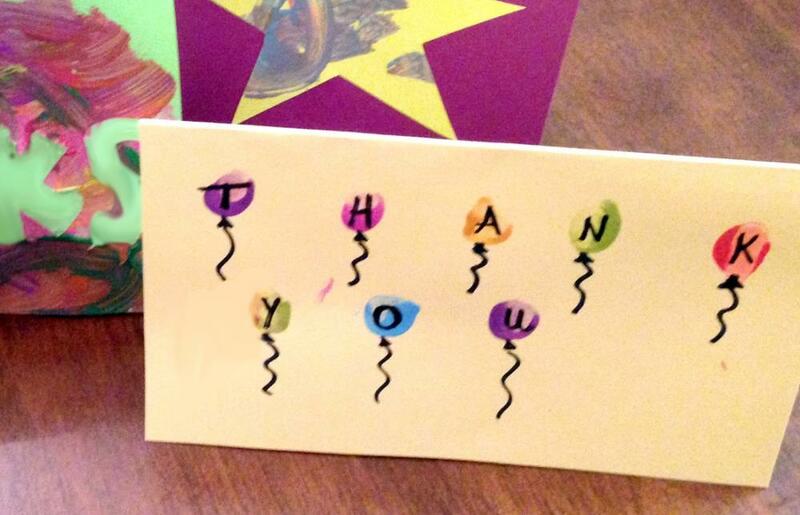 This balloon card is definitely an easy thank you card to make. If you will be mailing the kids thank you cards, keep in mind envelope size – or you might be making an unnecessary trip to the post office. With some of the above cards, you might want to cut the card to size before starting. I always do this so I’m not cutting up my kids thank you card after he made it. If you feel like your toddler wasn’t as involved as you would have liked during the thank you card making process, have them accessorize the cards with stickers, color on the front, inside, or back of the creation. This preserves the cards refrigerator-worthy quality but also makes it more of their own. Either way – they will be proud of their creation! Not to mention our family members love the creativity involved and appreciate the time we took to make them something special. If you are looking for some ideas for homemade thank you cards from toddlers and kids, I hope these card ideas helped you out! 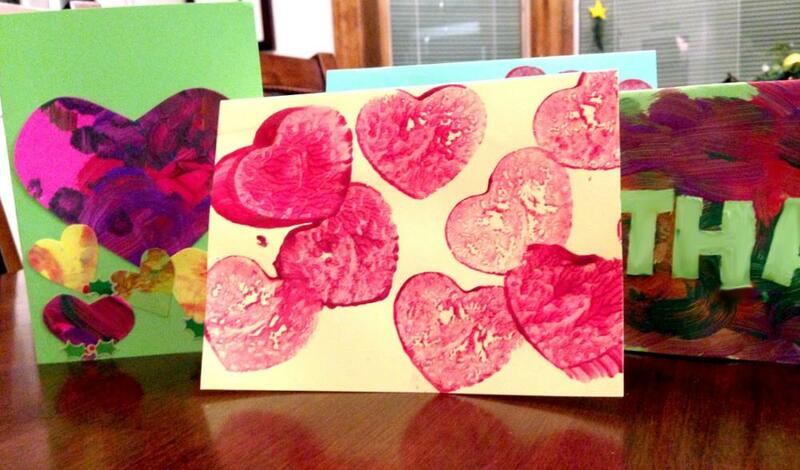 Check out some of our other toddler card ideas too! Love the cut out idea. 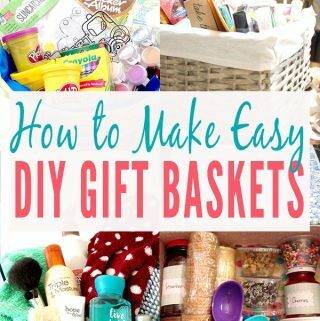 Always looking for craft projects for my daughter to keep her busy and this is great. She gets a creative outlet and we stock up on thank you cards. Yes, let’s keep the etiquette and art of the handwritten thank you note alive. 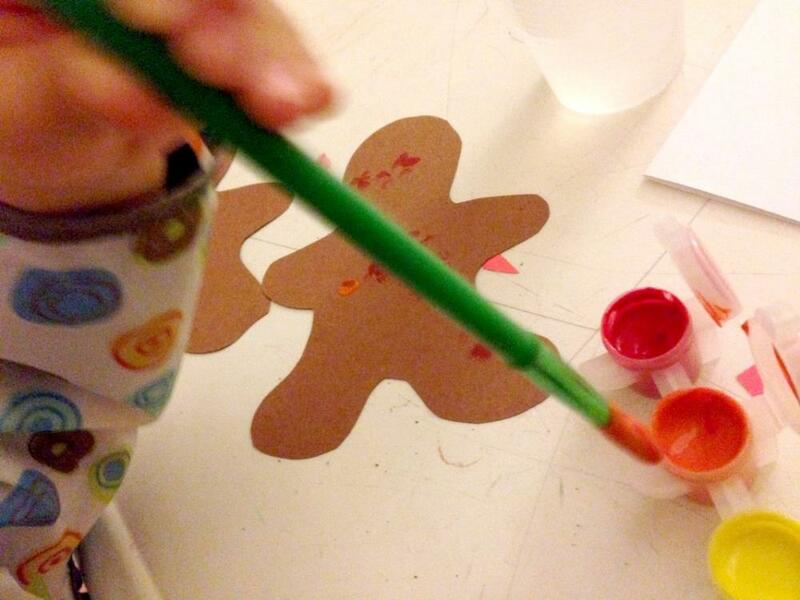 Perfect activity for kids to do during holiday/winter break. These are great ideas. My kids always churned out millions of pictures when they were little and we would send them out as thank you’s but these, with the shapes etc make the finished results a little bit fancier. I especially love the finger print balloons and the masked off thank you. So simple but so effective. What a great ideas and a great way to promote thank yous!! Would love to have you share it at the Pleasures of the NW’s DIY Party! I love those cards and my girls too! I haven’t printed with potatoes in a long time, a great and fun technique and I like the tape technique as well, always turns out pretty! Thank you so much for sharing at Sweet Inspiration this weekend! I love the fingerprint balloons! A huge little not writer, I will be sure to try this idea with my kiddos! Happy Saturday, from the Mini Linky Party! I’m a huge believer in sending Thank You notes. Doesn’t seem to be done too much these days, sadly. I think it forces kids to appreciate the gift more and not just expect to get. I’ve yet to try potato painting but I need to remember to pick some up and let them craft away! Visiting from Snickerdoodle Sundays party. Thanks, Demi!! :)) Hope she enjoys it! 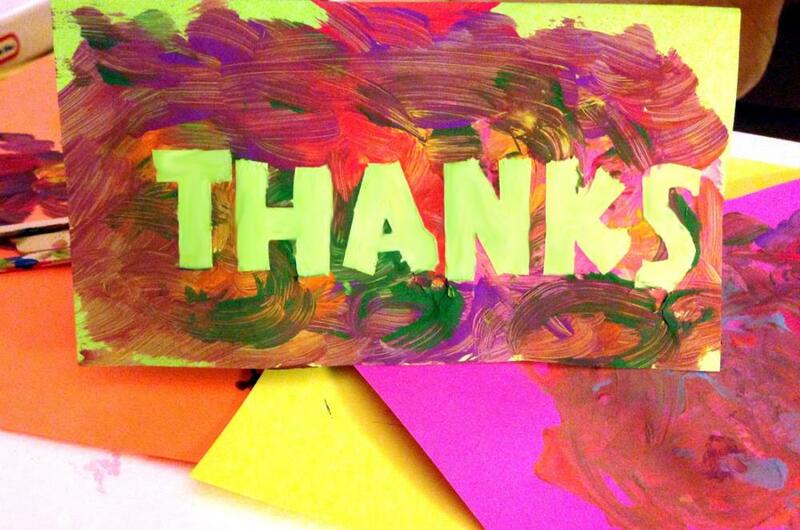 I’ve purposefully worked to teach my children the importance and joy of sending thank you cards. We always crafted our cards together, too. This brings back such happy memories for me. I’d love if you shared your ideas at the #ThisIsHowWeRoll Link Party on Organized31.com. It goes live at 5am on Thursdays. I love homemade cards and those made by kids are extra special! Thanks for the ideas and linking up with Funtastic Friday! I love this idea! I wish I had thought of it when my boys were small. Teaching them to express gratitude as well as creativity! Great ideas! These are great ideas. I’ve always had my toddlers pick a page from a colouring book, colour it, and I add the note they dictate to me. Now that my children are getting older I think they would enjoy these ideas. Thanks for sharing. Thanks, Jennifer! I love that idea too :)) Thanks for sharing! 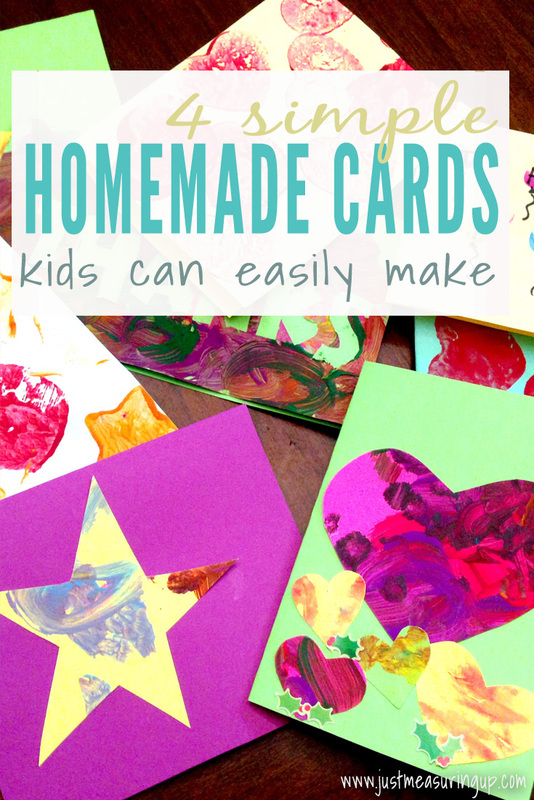 Adorable cards and kids would love to make them. 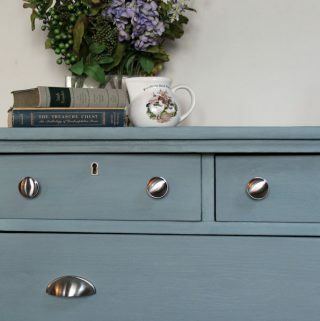 Thank you so much for sharing your ideas with us at Vintage Charm. What a fantastic idea! Can’t wait to try with my kids! Thanks for sharing. Love the ideas! Thanks for sharing! I believe in sending thank you notes too, and these ideas will help to raise the “cuteness” factor…so much better than just a crayon and paper. 🙂 Thanks! Haaa yes – thanks for your compliments! Those are so incredibly adorable! 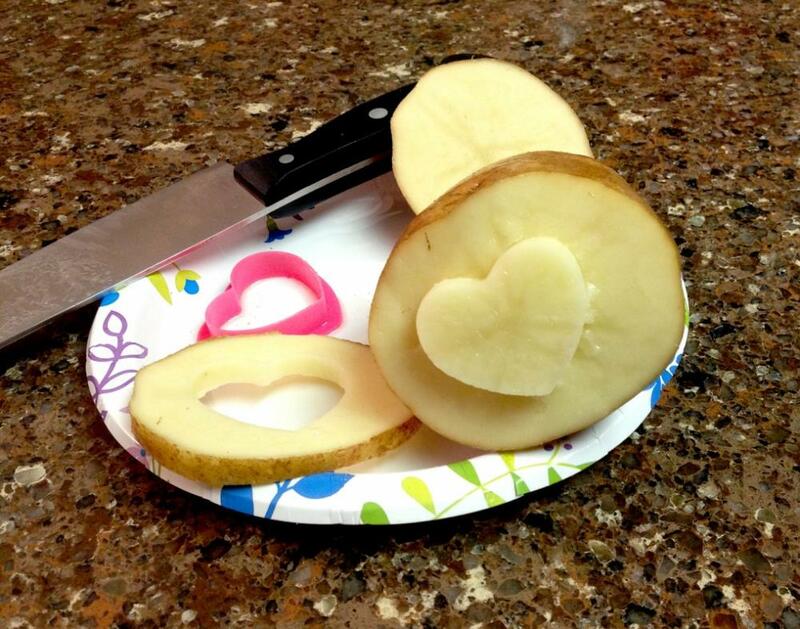 I’ve always heard about potato stamps, but never knew how they were actually made. Thanks so much for sharing at the #happynowlinkup! This is a great idea to keep the kids busy. It looks so fun! I love your cards! Congrats – you are one of our Featured Guests at Inspire Me Monday at Create With Joy! These are adorable!!!!! Having children handmade cards is a great idea!! !